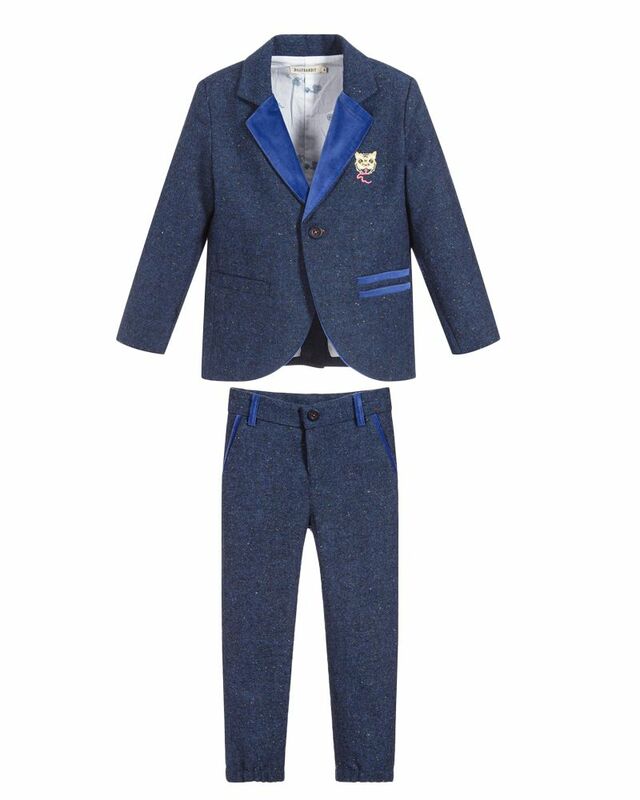 Billybandit soft cotton dotted navy two piece suit with fancy embroidery on the front. 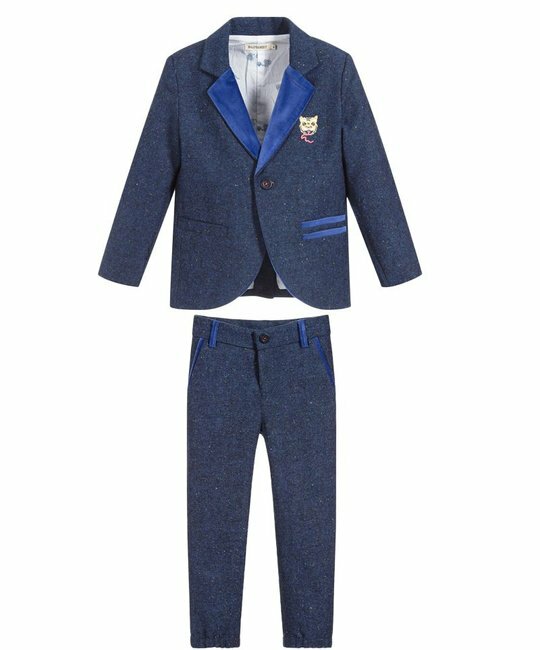 70% Polyester, 17% Acrylic, 5% Viscose, 4% Polyamide, 2% Cotton, 2% Wool. Imported.